Enjoy all the exotic flavours of Indian cooking without the fat, salt and sugar, for guilt-free indulgence. 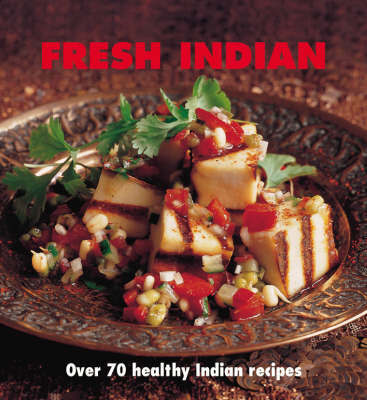 "Fresh Indian" features over 70 healthy and delicious recipes from classic favourites - such as Vegetable Samosas and Green Chicken Curry - to contemporary ideas and variations - including Salmon and Tamarind Curry and Watermelon, Lime, Chilli and Vodka Granitas. In addition to meat and fish dishes, there are plenty of ideas for vegetarian meals, plus chapters devoted to relishes, desserts and drinks. These easy-to-follow recipes will encourage you to experiment with different ingredients and flavours and are perfect for every occasion.